There are three main types of employment contract: permanent employment contracts, fixed-term contracts and casual employment contracts. Documenting the specifics of the employment relationship in writing is not only a legal requirement but can also help you to protect your business and manage relationships with employees. 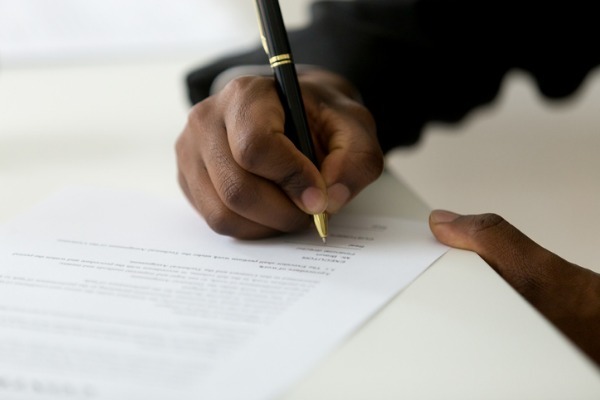 An employment contract is all the rights, responsibilities, duties and employment conditions that make up the legal relationship between an employer and employee. It includes a number of terms which, whether written down or not, are legally binding – the employer’s duty to pay the employee wages, for example. Different types of contract apply, depending on the employment status of the individual. So it’s important to have correctly determined the employment status of the person you’re hiring before writing an employment contract. Permanent employment contracts apply to employees who work regular hours and are paid a salary or hourly rate. The contracts are ongoing until terminated by either the employer or employee and may be for full or part time work. Employees on these contracts are entitled to the full range of statutory employment rights. Fixed-term contracts give a set end date, for example six months or one year. You may want to consider this type of contract if you’re looking to cover maternity leave, staff a big project, or take on interns. Fixed-term employees are protected and have the same rights as permanent employees (including unfair dismissal and redundancy pay after two-years service). You can’t offer them less favourable terms because they’re fixed-term. The fixed-term can be extended with agreement, but you can’t usually keep someone on fixed-term contracts for over four years; at this point they become permanent employees. If the employee continues working beyond the end date of the contract, but it’s not formally renewed, there is an ‘implied agreement’ that the end date has changed, and the employer must still give a proper notice period. You must also inform fixed-term employees of any permanent vacancies in your organisation. The casual employment contract is suitable for scenarios where you want an individual to commit to working for you, but you’re not sure how many hours of work you’ll be able to offer them each week and cannot guarantee a regular working pattern. The contract should specify the minimum number of hours that you expect them to work each week, with the expectation being that the working pattern, and hours offered above this minimum, is likely to fluctuate. If you use the casual employment contract, but a pattern of working hours develops over time, this pattern of work is much more likely to form the basis of the contract than any written agreement that you put in place, ie. they will be deemed to be working on a permanent employment contract as opposed to a casual one. If you do wish the casual employee to work regular hours for a period of time, it’s worth making it clear in writing that this is only a temporary working pattern to suit business needs and does not indicate a permanent contractual right to those hours. When should an employment contract be issued and when does it start? Whether you’ve written anything down or not, your new employees will enter into an employment contract with you as soon as they start working for you. For example, just because a new employee doesn’t have a written contract yet doesn’t mean you can avoid paying them or granting them holiday. While elements of the contract can remain unwritten, you will need to provide them with a ‘written statement’ documenting key terms regarding pay and hours within two months of the start of their employment with you. However, it’s a good idea to try to provide this as early into the relationship as possible. Is it illegal not to provide an employment contract? An employment contract comes into force as soon as someone starts working for you, so essentially, a contract exists irrespective of any documentation. What you must provide by law, to all employees employed for more than a month, is a written statement documenting the key terms that have been agreed, such as pay and working hours. An employee may go to an employment tribunal for a declaration of what the terms are and claim 2-4 weeks pay (subject to the statutory maximum weekly payment) in compensation if you do not provide the statement within two months of their start date. Why else do you need written employment contracts? If the finer details of the contract are not written down, you’ll have nothing to prove your legal position in a dispute. With everything written out, it’ll help your employee to understand the breadth of their entitlements and responsibilities, helping you to manage your relationship with them. A further type of contract to be aware of is that which applies for workers. The distinguishing feature of these contracts is that there’s no obligation for the employer to offer a minimum number of hours of work, or for the worker to accept them. This is known as mutuality of obligation. Workers on zero-hour contracts are still entitled to some statutory employment rights including the statutory minimum level of paid holiday and the National Minimum Wage / National Living Wage. It’s also important to note that it’s illegal to require a worker to work exclusively for you, so you can’t include an exclusivity clause in your worker contracts. When it comes to working with self-employed contractors, consultants or freelancers, it’s equally important to have a written document – commonly known as a ‘consultancy agreement’ – in place to set out expectations for the working relationships. For help selecting the right type of employment contract for your staff, and making sure your contacts are legally complaint, our HR consultants can help. Find out more about our HR support service on 0333 444 0165 or email info@citrushr.com.